Learn assertiveness training that works for the long haul. You don't want some quick tips that work only in limited situations. You want a plan that will help you succeed on an ongoing basis. You've been having some trouble with communication, or you're just interested in the topic...or you wouldn't be here, reading about this subject. To make sure you get what you're looking for, we're going to approach this topic from the inside out. The inside part is where you make sure you have access to all of your personal energy and power, so that when you get to the outside part--the assertiveness--it is just what you hoped it would be. As we start, just consider that you are far more powerful within yourself than you have ever imagined. Now let's access that power. 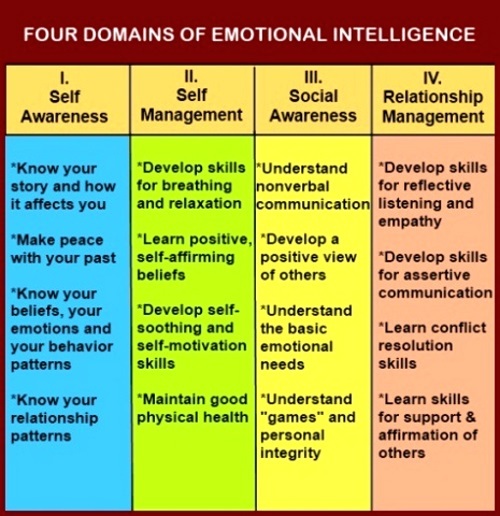 The clarity, focus and confidence you need in order to be assertive on a consistent basis depends entirely on your level of emotional intelligence. This assertiveness training information will give you the knowledge and skills you need to make this a part of your everyday life. Self awareness--this is where you really take a look inside yourself. The two best ways to do this are through the use of journaling and imagery. Self management--inner child work is a good place to start here, then move on to practicing relaxation. This step also includes a lot of work on developing healthy anger, which will serve you well in all that you do in life. Social awareness--be sure and learn about nonverbal communication and basic emotional needs, as you begin to develop a positive view of other people. It's also important to understand the classic victim-persecutor-rescuer triangle. Relationship management--this is a very large subject, so we will just focus on the assertiveness training aspect here. See the next section for a more indepth exploration of assertiveness. The first three components lay the groundwork for the fourth, which is where the practical aspects of assertiveness training come in. Assertiveness without self awareness, self control and social awareness will either be ineffective or counter-productive. Assuming you've done some work in the first three areas of improving your emotional intelligence, it's time to begin learning about assertiveness. Mindtools.com provides an excellent overview of assertiveness training. Be sure and check out this valuable resource. It is not aggressive. Imagine an invisible circle around you. That is your boundary, and when you assert yourself, you're defining your boundaries. Aggression is leaving your boundary and jumping over into the other person's circle. The diagram below shows you how this might work. When you're being assertive, you're mainly using "I" statements, talking about where you stand, what you want, and what you will and won't do. You're not talking about the other person, which runs the risk of becoming intrusive and aggressive. You may be a person who "hates conflict" or always tries to avoid it. This usually means you'll have trouble being assertive, because assertiveness often means not giving the other person what they want. As a part of learning to be assertive, I highly recommend that you learn conflict resolution skills. Saying "no" can be very difficult for some people, and you may be one of these. This means you get walked on, used and abused, and often feel like a victim. To be assertive, you absolutely must be able to say "No" in no uncertain terms. A big part of this involves learning to put your own needs first in your life. While many people think this makes you selfish, in fact the opposite is true. Putting your own needs first simply means that everyone you interact with gets a happier, healthier you when you show up--because you took care of yourself before you got there. There is a lot more to this subject, so I encourage you to continue with your learning. Assertiveness training is not quick or easy, but it's well worth the investment of your time and energy. How Does Healthy Anger Fit In? Keep in mind that when anger is healthy it is powerful energy fueling effective action. It is usually seen as motivation, enthusiasm, focus and commitment. If you have too much anger, you won't have the emotional control to be assertive in a healthy manner. If your anger is deeply buried and suppressed, you will be too passive in your efforts to assert yourself. When your anger is healthy, it is not a problem for you, and you will not seek conflict or feel a need to avoid it. Healthy anger comes straight out of the self love, and the need to love and be loved, which is the same positive origin of assertiveness. Healthy anger, like assertiveness, is always accompanied by respect, calmness and clarity. 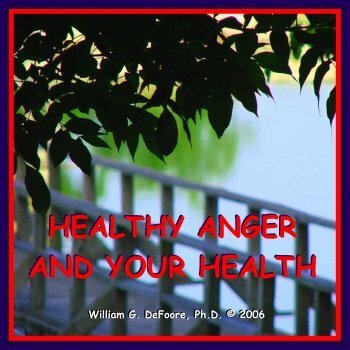 Make sure your anger is healthy, by listening to the free previews below of Healthy Anger And Your Health, a live recording of a presentation I made to help explain this important topic. Get your copy now!